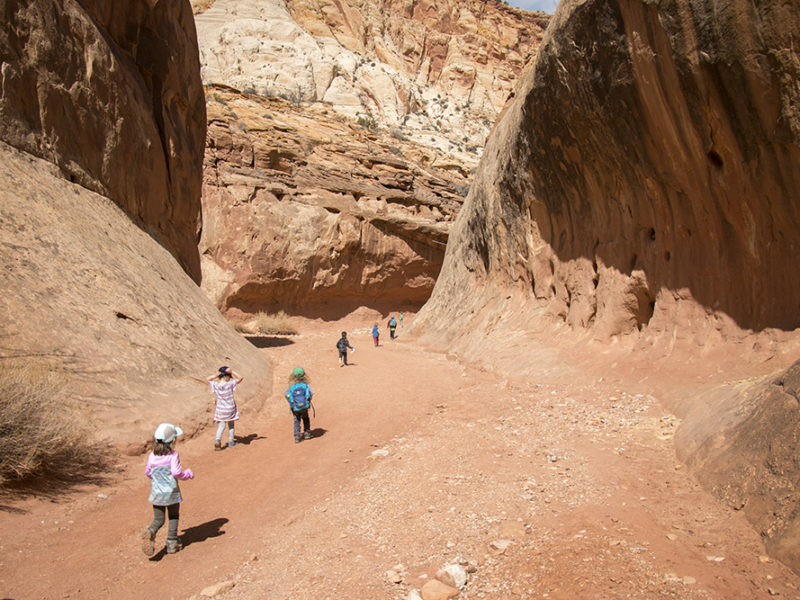 The Capitol Gorge trail at Capitol Reef National Park is a fantastic trail for kids. 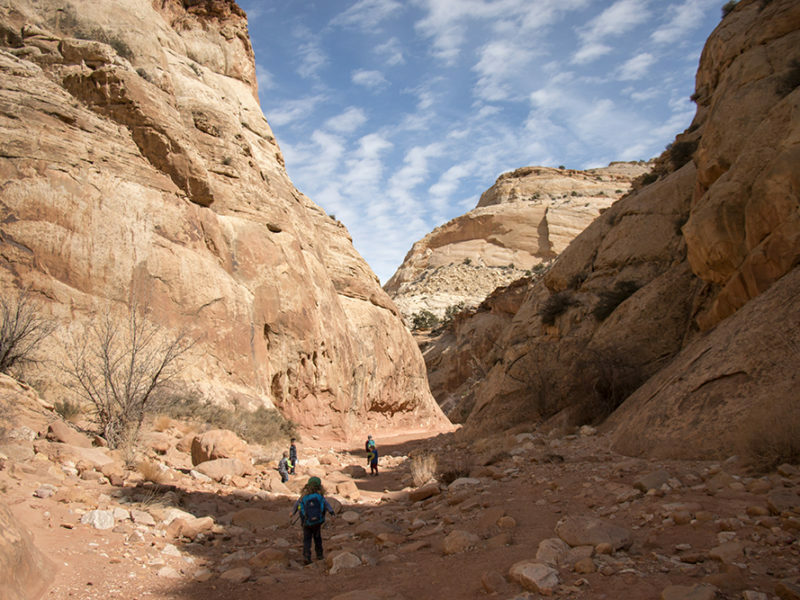 It’s a wide, flat trail that meanders through a wide canyon. This canyon used to be the main road through the park in the late 1800s and early 1900s. 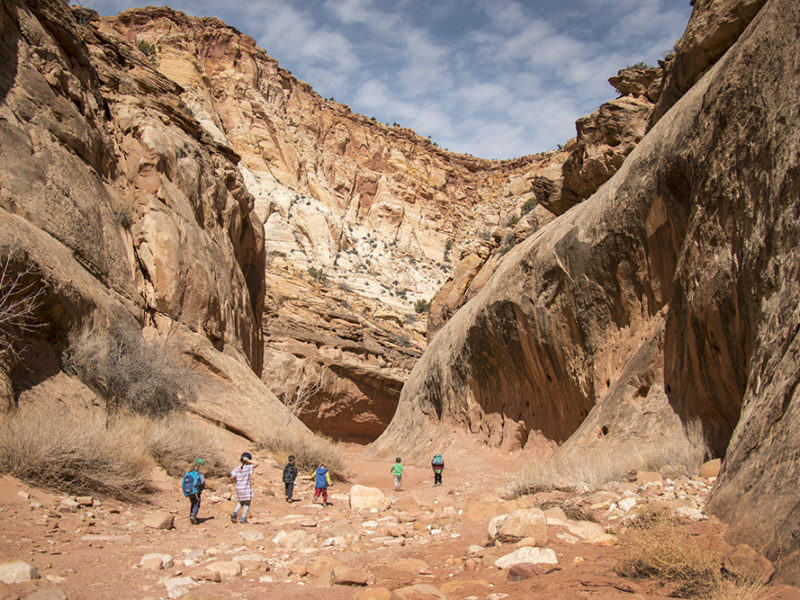 You can hike all the way to the “water tanks” which are naturally occurring pockets in the rock where water collects when it rains and it feeds the ecosystem. 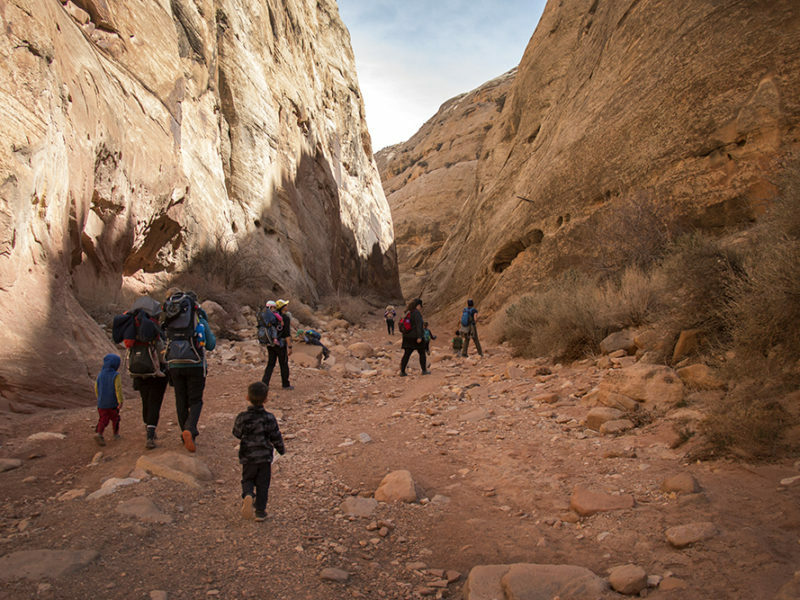 Or you can just hike as far as you or your kids will let you. 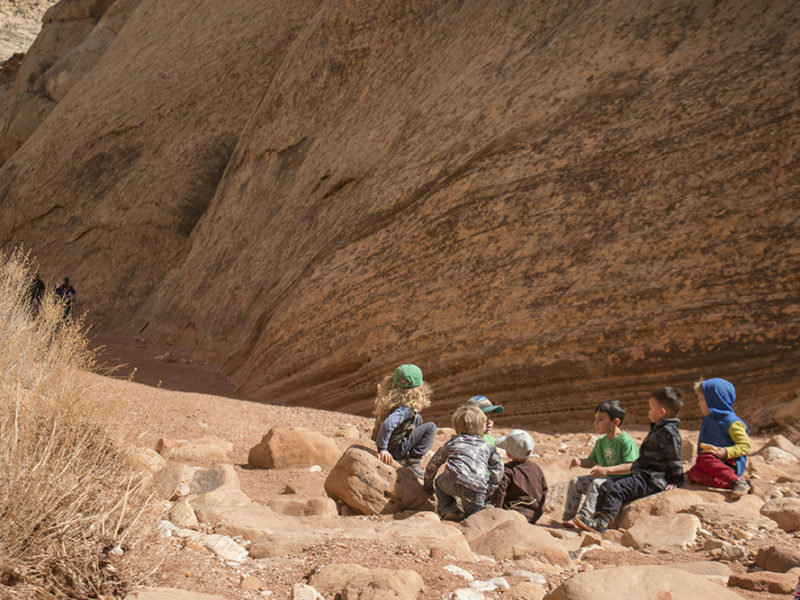 There are lots of places where kids can climb on rocks and find tiny caves to explore. There are petroglyphs on one wall that have faded and fallen victim of vandalism. Further in you can see names carved into the high rock by early pioneers and remnants of early telephone lines. If the park has had lots of the rain, the road to this trail may be hard to navigate for cars without 4WD. The road may also close if there’s been a lot of rain. There are shaded picnic tables right at the trailhead, along with a water fountain and vault toilets. 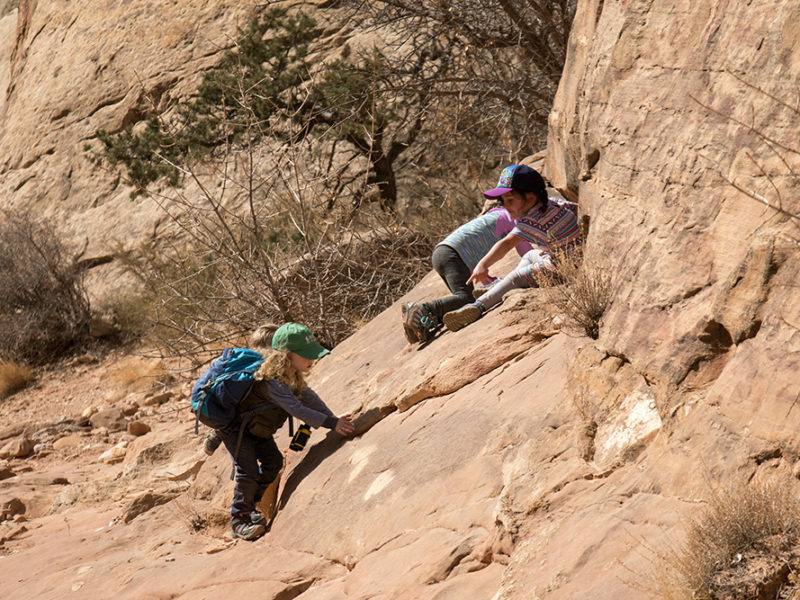 There are lots of fun rocks for kids to climb on. Faded petroglyphs are visible on one wall. 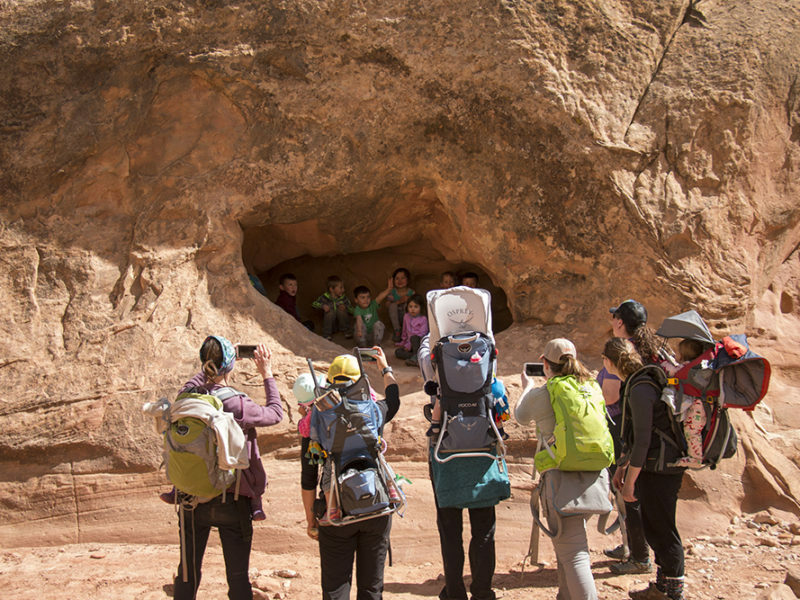 The historic pioneer register consists of names of early pioneers carved into the rock. In the late 1800s and early 1900s, this trail was the main road through the park for horses, wagons, and for a short while, automobiles. There are remnants of old telephone lines too. The road to the trailhead is a rocky, gravel road. It may be hard for some cars to drive on if it’s wet. 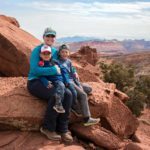 Capitol Reef National Park doesn’t charge an admission fee, but it does charge a fee to drive on the park’s Scenic Drive beyond the Fruita Campground. A pass is good for 7 days.